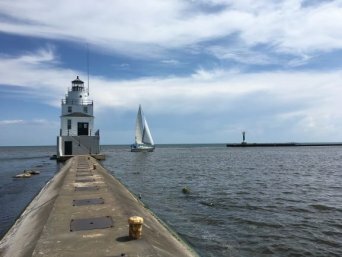 Lakeshore Natural Resource Partnership ($100,000)The Fund for Lake Michigan is supporting the Lakeshore Natural Resource Partnership with this $100,000 award to restore the Manitowoc River. As one of the most polluted rivers in Wisconsin, the Manitowoc River has become a top priority at the Wisconsin Department of Natural Resources. This award will therefore support the creation and work of a team that will collect information such as land cover, manure management, and crop rotation which will be essential for the restoration effort and the development of a Total Maximum Daily Load (TMDL) for the river.